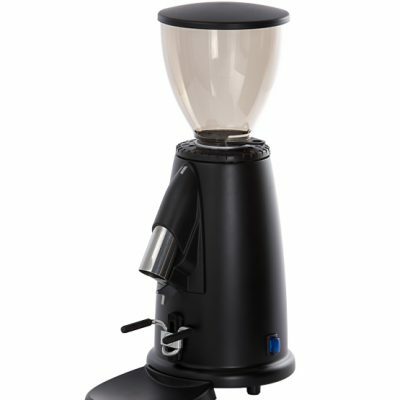 Baratza Sette 30AP Grinder comes with All-purpose burrs with 30 step macro grind adjustment. 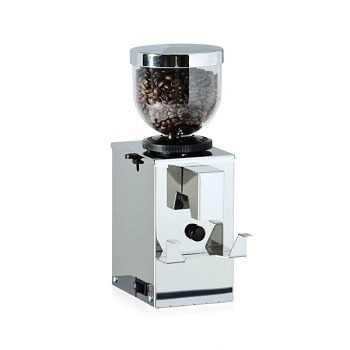 It is the newest grinder in its series. 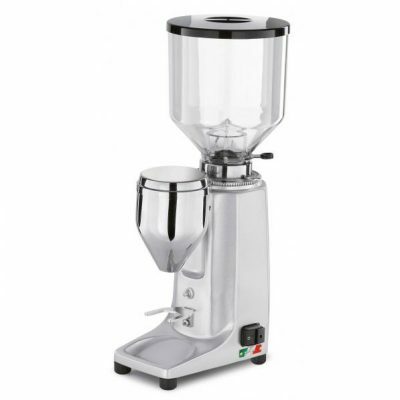 40 mm conical steel blades give doubles the efficiency of grinder. It offers 31 steps of adjustment. 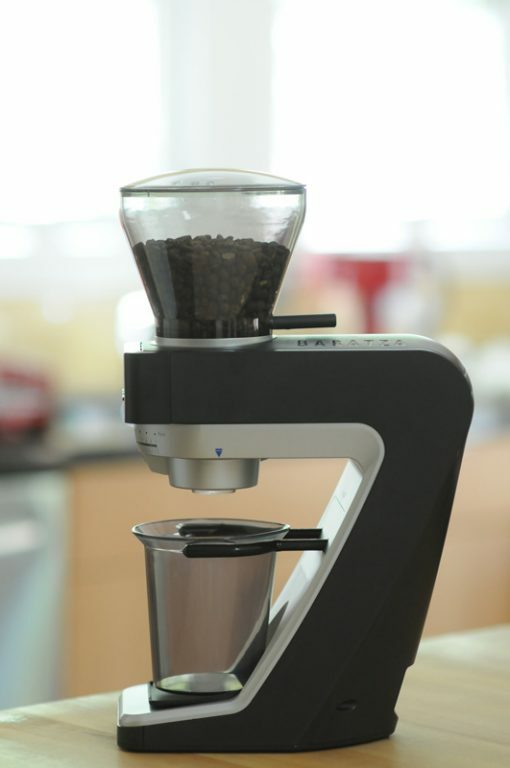 It comes with the same unique design in which outer burrs are rotating and inner burrs are fixed. 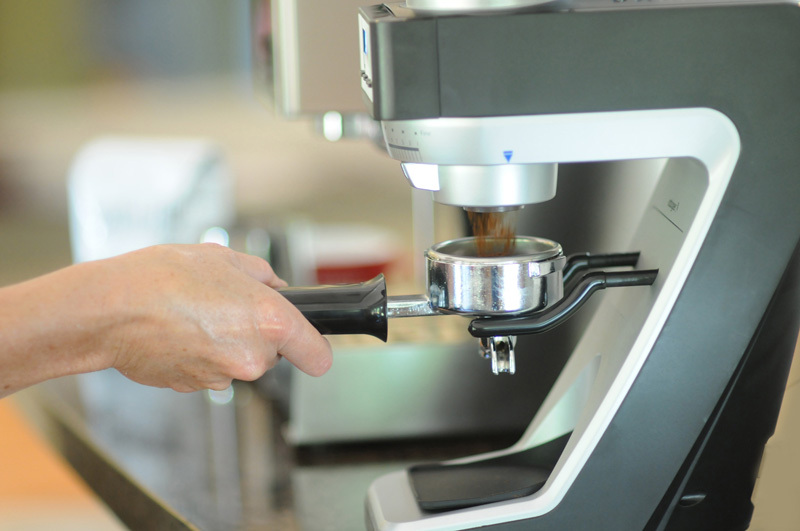 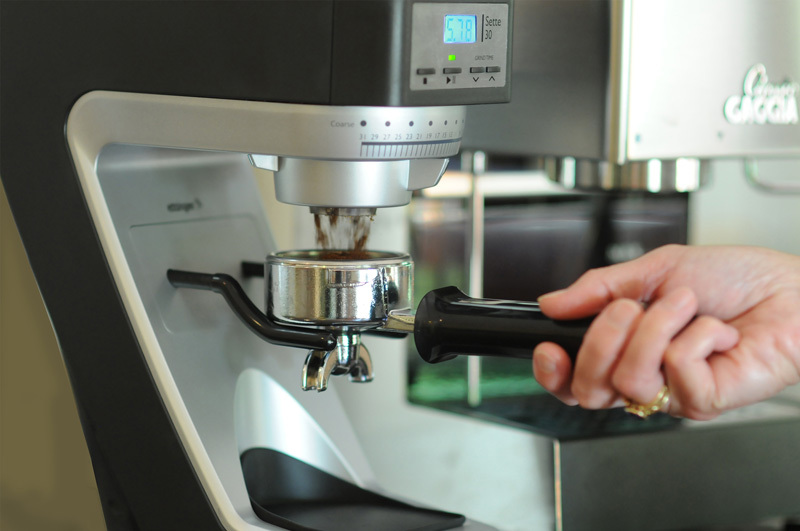 It also has a stationary device holder that allows you to easily remove and manage portafilter. 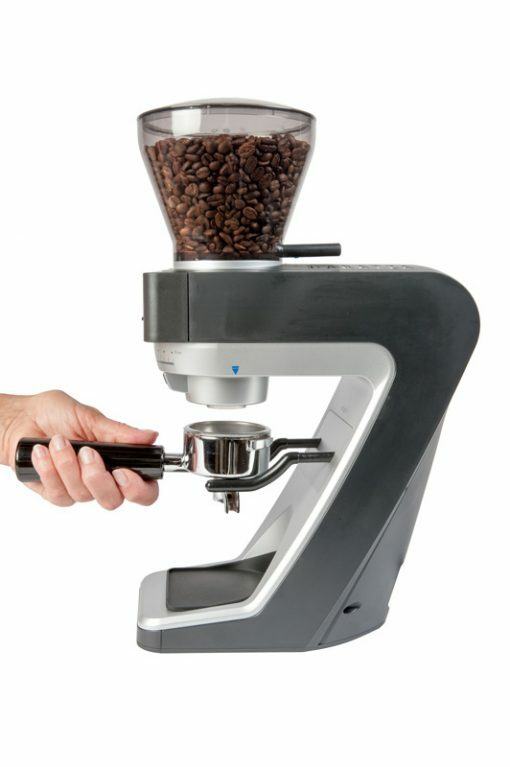 Low Grind Path – A unique straight-through grind path drops grounds directly into the container. 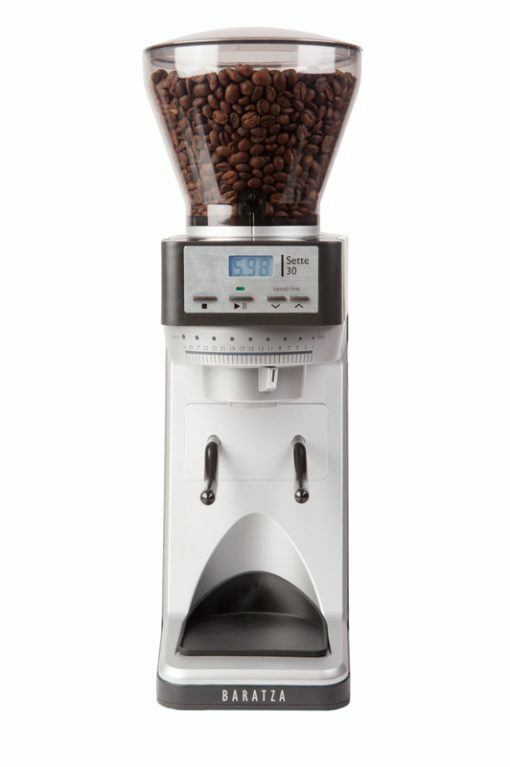 Outer Burr – This is achieved by a spinning the outer burr instead of the inner, creating a natural siphon that speeds up grind time. 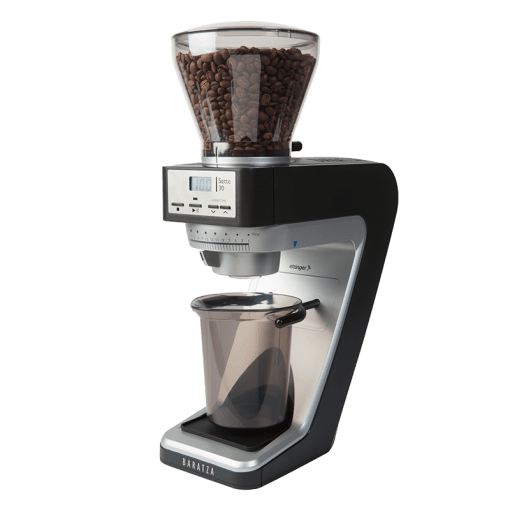 Stepped Grind Adjust – With 31 dedicated settings for espresso grinding, it’s easy to set (and reset) your grind consistency between cleanings. Hopper Stopper – The 10-ounce hopper’s dedicated locking mechanism makes it easy to remove without wasting any beans. 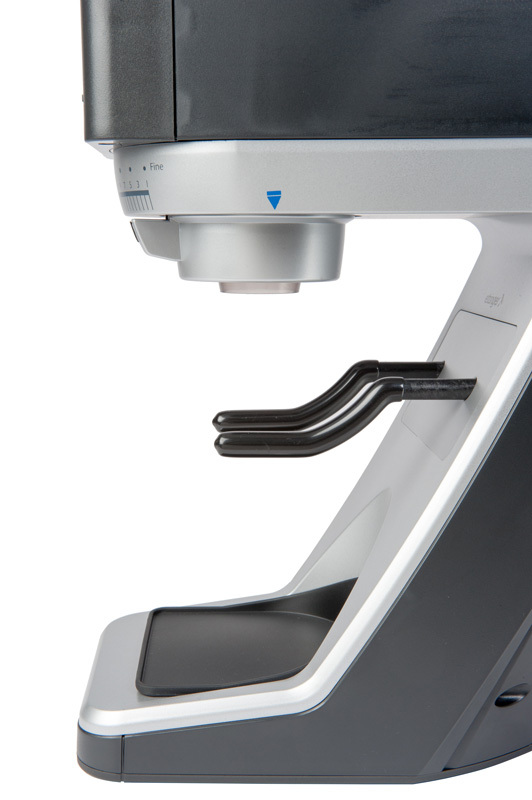 Cooler Operation – Powerful DC motor for maximum starting torque and efficiency, resulting in cooler operation. 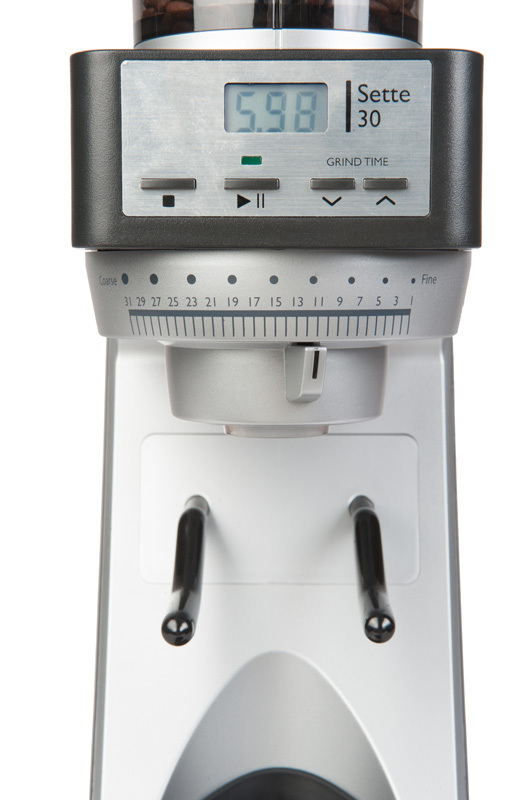 Grind adjustment: It offers 31 steps for grinding adjustments that gives precise grinding as per your requirement.